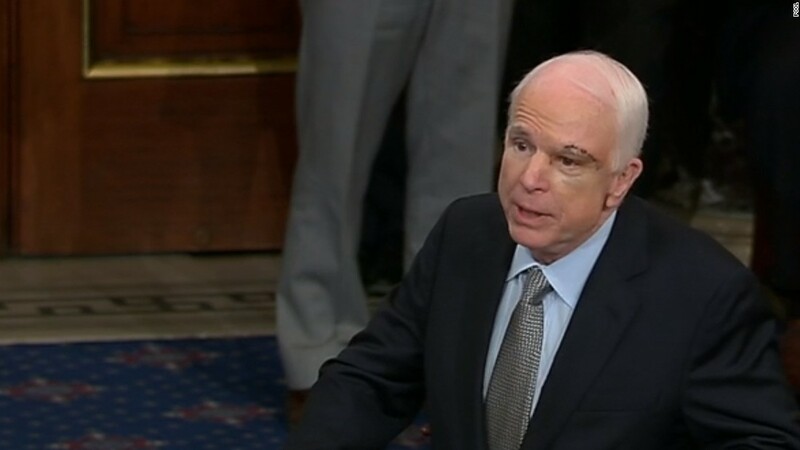 Washington (CNN) All eyes were on the touching yet somber scene unfolding on the Senate floor: A line of senators waiting to greet their colleague John McCain, who stood at his Senate desk hosting an impromptu receiving line. But I couldn’t take my eyes off the visitor’s gallery above. There sat Cindy McCain, by herself in the front row, clutching a tissue while audibly sniffling as she tried in vain to push back tears as she watched the scene unfold. Even her sunny yellow dress could not mask the reality of the bittersweet moment: her husband’s aggressive brain cancer set off a bipartisan parade of colleagues eager to show him respect. That moment alone was poignant enough, but even more so up against the backdrop of the legislative drama on health care. 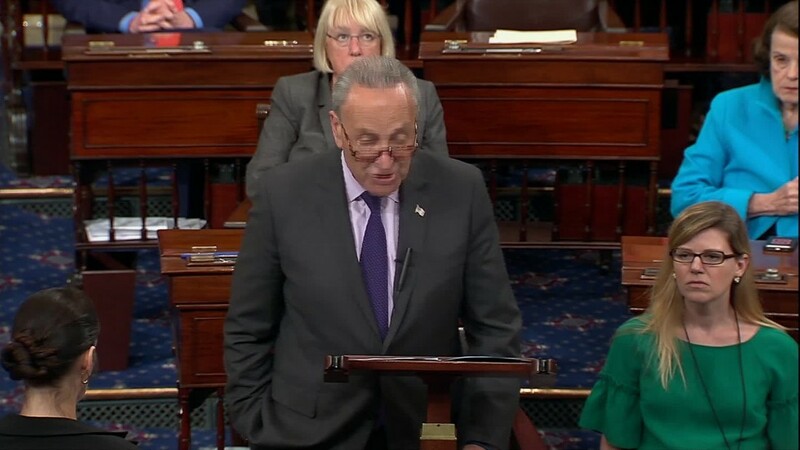 I have been inside the Senate chamber to observe several momentous events over the years, from the impeachment trial of Bill Clinton, to the vote to authorize war after 9/11, but the nearly hour long swirl of emotion I witnessed Tuesday afternoon is seared in my memory. Protesters are not unusual, but what was out of the ordinary was how long it took to get them out. Well after they left, they were so loud that senators could still hear them as the clerk was halfway through the alphabet in the roll call. That meant GOP leaders could only afford to lose one more vote. Normally when the Senate votes, senators mill around and talk. But on rare occasions — big votes or speeches — they sit at their desks. This was one of those occasions, and as luck would have it, Collins and Murkowski’s desks are next to each other. You could sense a bit of relief that they had one another to fend off the angry vibes coming from GOP leaders for flouting them — and the President. And Democrats used a tactic to make their defiance even more stark. Democrats declined to vote until all Republican senators had cast theirs, so that when the clerk read back the votes so far, the only names that were read were Republicans — mostly for, but only two against. When their names were called as “votes in the negative,” Collins and Murkowski both smiled, as if that was the only expression that seemed appropriate to cut the tension in the air on the GOP side. But Republican leaders were not yet out of the woods. Wisconsin Sen. Ron Johnson, a vocal critic of the process, hadn’t shown up yet. When Johnson finally appeared, the Senate Majority Leader was waiting for him, and the two men proceeded to have a 10-minute intense conversation right in the middle of the Senate floor. Though those of us in the press gallery above couldn’t hear what they said, and couldn’t see Johnson’s face, McConnell’s expressions spoke volumes. The usually poker-faced GOP leader grew increasingly red, he crossed his arms, and even wiped his brow as he grew more and more animated. 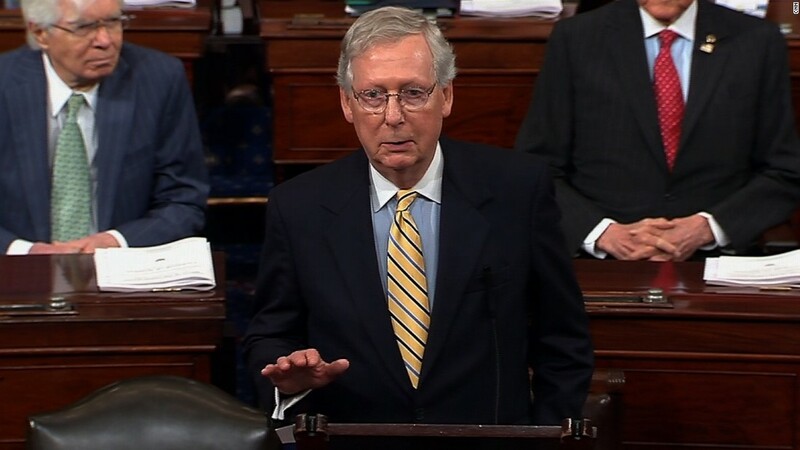 Meanwhile, the number two Republican, John Cornyn, was standing right next to McConnell and Johnson, shifting his stance, pacing and just generally trying not to look like he was listening. Other GOP senators also pretended not to notice. A few, like Lindsey Graham and David Perdue, made beelines to Pat Toomey’s desk in the back of the room to raid the candy drawer (by tradition, whomever gets that particular desk is tasked with stocking the candy). 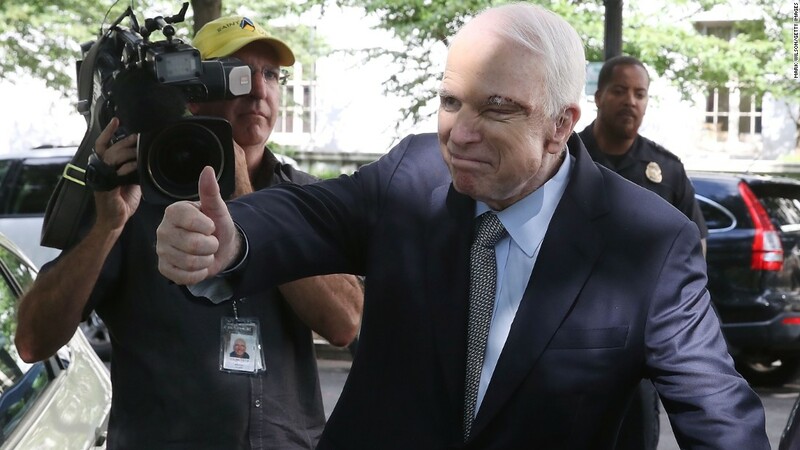 It was only the dramatic entrance of John McCain onto the Senate floor that broke the McConnell Johnson tete-a-tete. 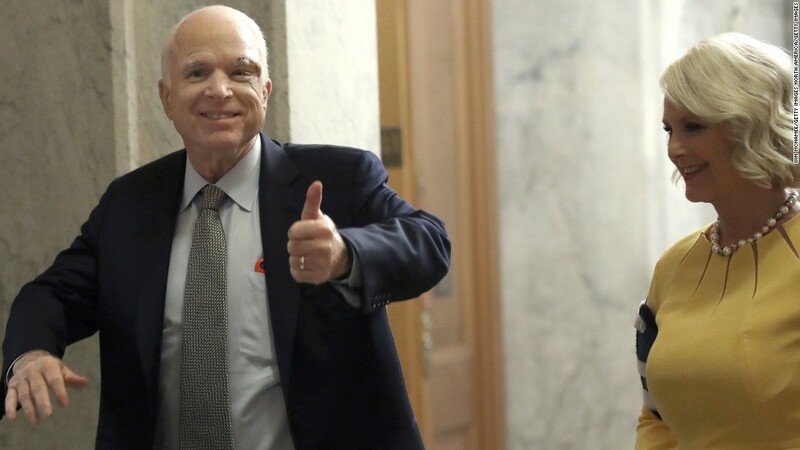 As soon as McCain walked in, the entire chamber erupted in applause, and Johnson moved away from McConnell to quietly cast a “yes” vote under the thunderous ovation for McCain, who also came in and voted yes. With that, and no vote to spare, Vice President Mike Pence cast the tie-breaker, and declared the vote to start debate approved. 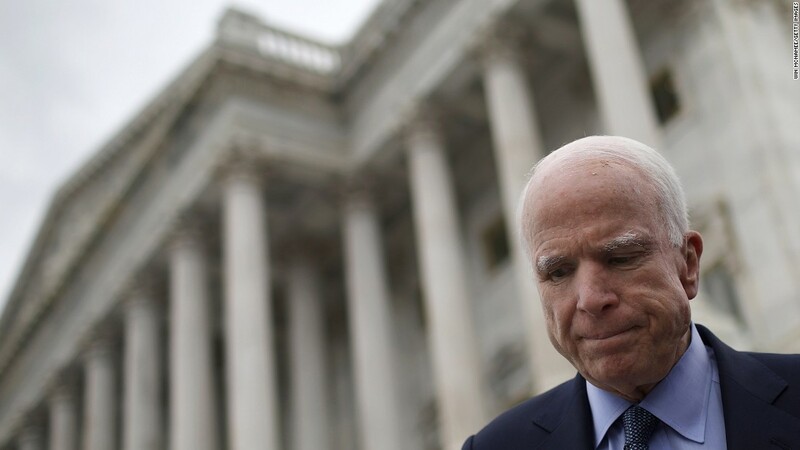 Meanwhile, McCain, who was eager to get back in the arena on this big day not just to cast a vote, but to be a statesman with a message to deliver, was at his desk trying not to get overwhelmed by the series of greetings he was receiving. A handshake here, a pat on the back there, fun loving quips and heartfelt bear hugs from just about all of his colleagues — from conservative GOP Sen. Ted Cruz, whom McCain sparred with when he first came to the Senate, to liberal Democrat Elizabeth Warren, who got to know McCain tagging along on his famous globe-trotting adventures. One humorous moment was when Sen. Bernie Sanders walked over to greet McCain, attempting a kind of bro-hug that didn’t quite land right — which turned into a lighter moment as both men laughed. Throughout it all, the McCain I have come to know covering him for almost 20 years — a complicated and compelling man — was on display. He clearly wanted this moment to come back to the Senate he has loved serving in for 30 years to deliver a very stark warning about how he has seen it go off course. But returning to deliver that message meant coming face to face with all of his colleagues at once for the first time since his cancer diagnosis, and grim prognosis. And while McCain kept it together, his colleagues on both sides of the aisle, not to mention reporters in the press gallery, had a harder time. The speech was classic McCain — written with the help of his long time speechwriter, co-author, and former aide Mark Salter. And though packed with tough love for colleagues on both sides of the aisle, it was infused with his love for the US Senate, and his country.